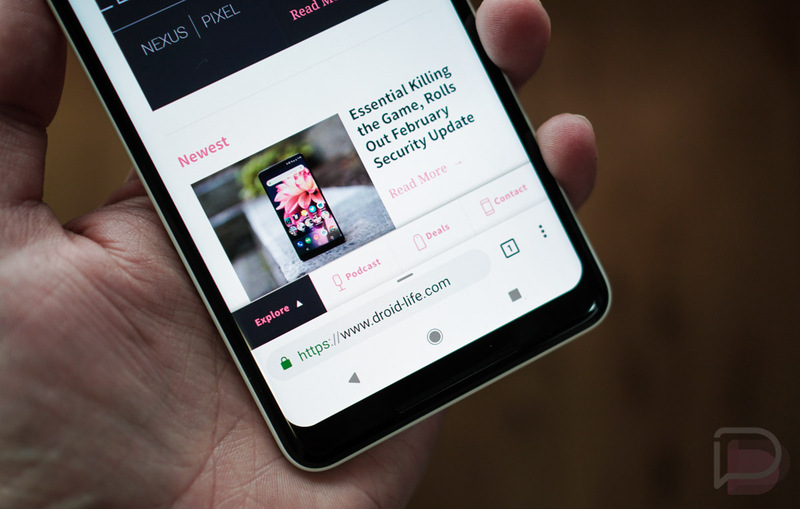 Last summer, Google slowly rolled out a pretty major change to Chrome on Android in the form of a bottom-situated address bar known as Chrome Home. It started in Chrome Dev and then graduated to Chrome Beta by August. We assumed at that point we’d see it arrive on Chrome stable within weeks or at the very least, before the end of 2017. Now, with Chrome Home still not found on the stable version of Chrome on Android, evidence has surfaced that suggests Google may have killed it off, possibly in favor of something new. The crew at Android Police noticed that a bunch of Chromium bug tracker items related to Chrome Home were recently marked as “WontFix,” which is odd for a major UI change like this. Maybe that’s a status change hinting at a change in direction or because it’s dying completely? No official word has confirmed the future of Chrome Home, but users who grabbed the latest Chrome Dev are noticing that Chrome Home is no longer enabled by default. As we noted in August, default was the new norm, so this is a big change. The details from there are scarce, but my brain immediately goes to some form of a split between a top address bar and an actionable item at the bottom, perhaps a swipe-up that’ll still get you into news items or your most-visited sites. I’m just brainstorming in real-time, of course. However, if this new commit is in Chromium, we’ll all want to pay close attention to Canary and Chrome Dev to see how it materializes. Should Chrome Home and the bottom bar die, will you miss it? There was a time where I wanted no part of it, but at this point, I’ve used it for so long that I’m not sure I want to go back to a top bar.